Mindfulness Meditation is about becoming one with your own silence. By focusing on the breath, the mantra or the music, you will learn to immerse yourself a beautiful and quiet state of being. Mindful meditation has grown in popularity and participation in academia, industry and in the holistic world. A myriad of benefits for the mind and body have been revealed. Studies show that daily practice enhances overall well -being including stress management, heightened cognitive functioning, improved immune functioning, enhanced interpersonal relationships and increased productivity. Ann Phelan, owner of Caribbean Wind & Sun is pleased to offer two Mindfulness Retreats for the summer of 2015. She has been trained in Mindfulness and has practiced meditation for over 25 years. She is bringing her practice to her guests on the Dutch Caribbean island of Bonaire. She has chosen her island home as the location to offer this wonderful experience. Immerse yourself in a peaceful and mindful environment. Ann welcomes you enthusiastically. The focus will be on guided meditations. Bonaire, best known as one of the Caribbean’s most pristine island is the perfect setting for this experience. Ann welcomes you to find your center and immerse yourself deeper into your practice. The retreat provides a nurturing and gentle experience for both beginners and more experienced participants. There will alternating periods of seated and walking meditations as well as 1-1 supported sessions to discuss your practice and expand on your personal goals. 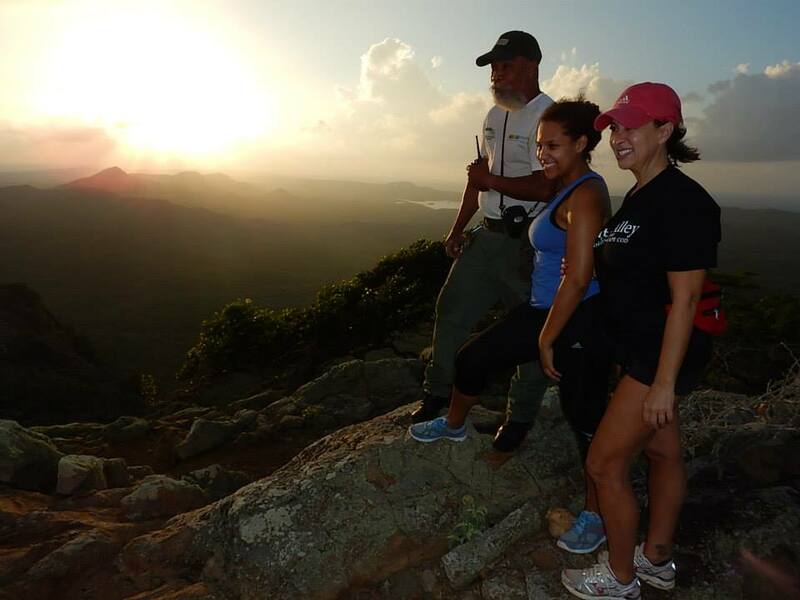 Yoga and nature hikes will be incorporated into the retreat. There will an Ayurvedic lunch and healthful community meals as well as opportunities for independent dining. The level of your engagement will be individualized towards your personal goals. Each guest will have an initial phone consult and discussion and then an individualized program will be created. We believe the mind and body are best supported together. To enhance your experience, there will be Ayurvedic spa services offered as well as traditional spa offerings include Bonaire Salt Scrubs and Hot Stone Massage. Reiki and Reflexology services are also available. Accommodations include an oceanfront property where most of the retreat will be held and several budget minded accommodations within 4 miles of the meditation site. Group discounts will apply to all accommodations. There will be activities for those who wish to dive, horseback ride, stand up paddle, snorkel, windsurf, kayak or kitesurf. 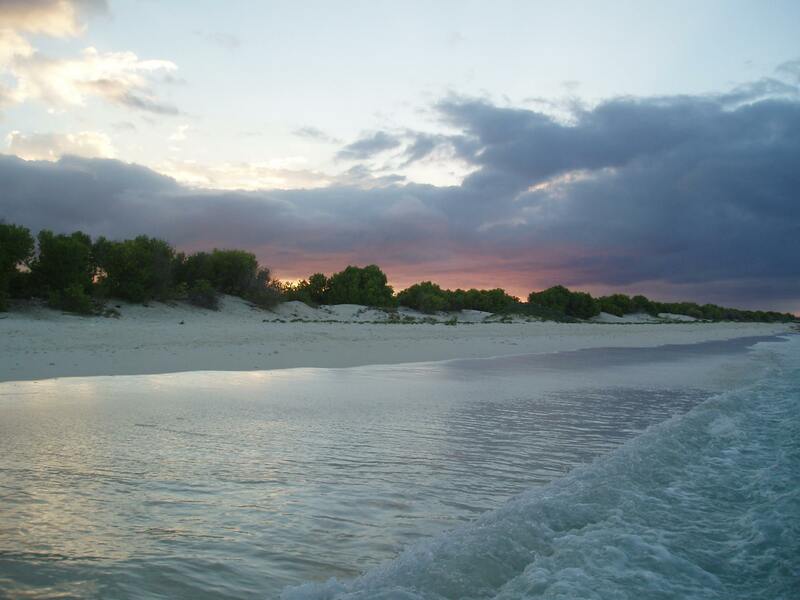 Bonaire is a nature lover’s destination. Come immerse yourself and become one with nature. Bonaire – For decades the trade winds have blown across the oceans and sailors from many lands have enjoyed the freedom of the seas and the love of salt water spraying in their face. Bonaire is a small island located in the southern Caribbean basin, outside of the hurricane belt, once known as the Netherland Antilles. Despite political changes and collapsing global economies, the island and the people continue their lives interacting with nature and the wind and ocean, much the same way their fore fathers did previously. With a fringing reef that encompass the island and an abundance of fish, the locals are still able to rig their sails and continue to fish for Wahoo or Mahi Mahi, using the simplest of techniques. Sailing and cruising visitors enjoy the facilities laid out by the Bonaire National Marine Park, with moorings close to the shore and even more importantly, close to the main town, Kralendijk. The Marine Park also helps keep our pristine reefs healthy where even the license plates proclaim our connection to the sea, “Bonaire Divers Paradise”. With such perfect wind conditions that are steady and consistent, you will see windsurfers, optimists, sunfish sailors as well as kite surfers enjoying the conditions on a daily basis. Larger sailing boats too, will cruise daily up and down the coast as well as taking a short sail around Klein Bonaire, which is a small island in visible proximity to Bonaire itself. To supply these boats with all of their needs there is a small, but well stocked Budget Marine Chandlery. Bonaire is home to one of the oldest Sailing Regattas in the Caribbean and hosts world class events for windsurfing and other sailing classes. 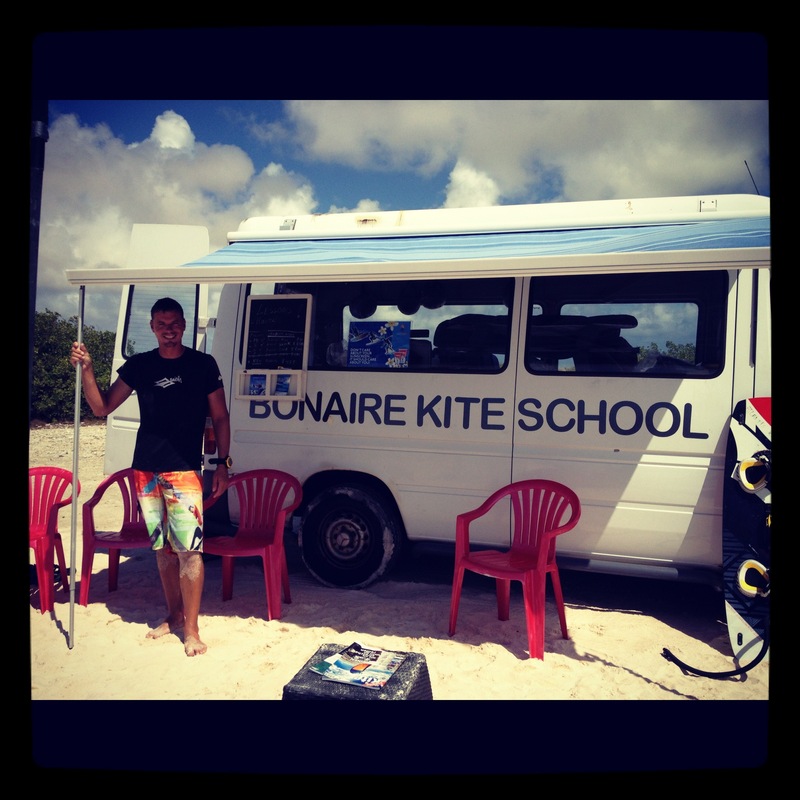 Bonaire is quite famous for its windsurfing already. Now it is time for Kite Surfing to take the spotlight. This year, between 11th and 16th June, Bonaire will be hosting an International Sailing Event, the South and Middle American Kite Course Racing Championships. This event will award 100 ISAF points toward the world rankings so it is a must for all of top level sailors. It will take place in an area to the south end of the island located at a site called Atlantis “Kite Beach”. To have a kite course race event, where the conditions allow the racers to come within twenty feet of the shore line, is very unique as it is bringing the action right up close to the spectators and photographers. Side off shore winds which are steady and constant mean that the regatta will see plenty of action. A planned schedule of after race events will entertain not only the racers but also visiting sailors and other tourists who visit our beautiful island for the diving, snorkeling or just simply to relax. With an estimated 90 top professional riders coming from all parts of the world, Bonaire will enjoy a spectacle never seen in our waters before. The excitement is already building and some local riders are training on a daily basis to ensure that the island gives a great performance during the week of racing. There will also be a spectacular final race, to be called the Bonaire Classic which will see as many as 70 kites racing from Atlantis into the bay of Kralendijk, rounding the island of Klein Bonaire before heading back upwind to the finish line at Atlantis with a distance of 40 km plus, this will be a sight worth watching. This event will be open to amateurs and Pros alike. The action does not stop there; stay tuned for a free style event during the following week. Kite beach is a unique high energy location where sailors can easily launch their kites and enjoy the perfect conditions. 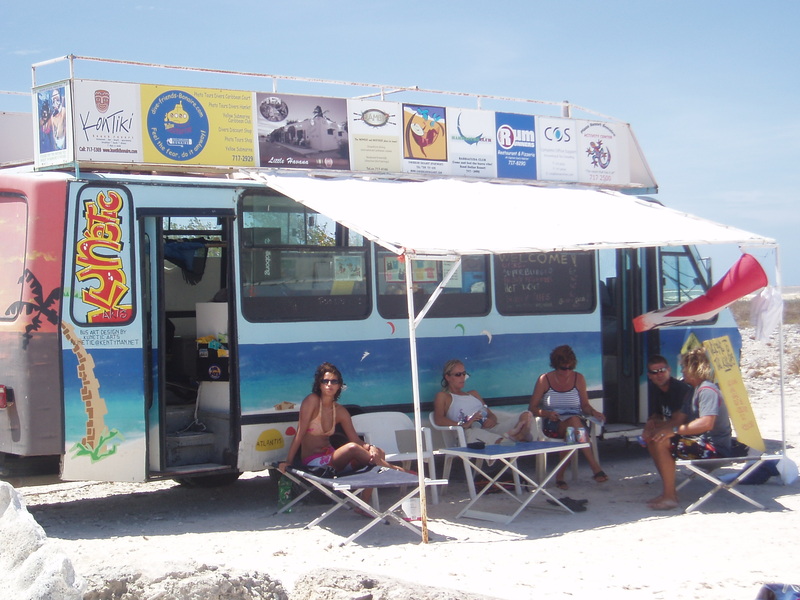 It is also the home to 2 mobile kite surfing schools and the Cactus Blue mobile restaurant to keep you well fed and refreshed. During the rest of the year, the schools offer lessons and rentals as well as sales of equipment to keep sailors of any level happy. There are several safety boats to give those who have not mastered upwind sailing or have equipment difficulties a ride back. Even if you are not sailing, it is worth a trip to the kite beach to watch the action. To book your accommodations and vehicle rental, contact Ann Phelan ann@bonairecaribbean.com. She has accommodations 65 USD a night and up for two and car rentals for 271.00 a week. My friend Hagen formerly owned one of Bonaire’s most beloved Caribbean inspired restaurants. 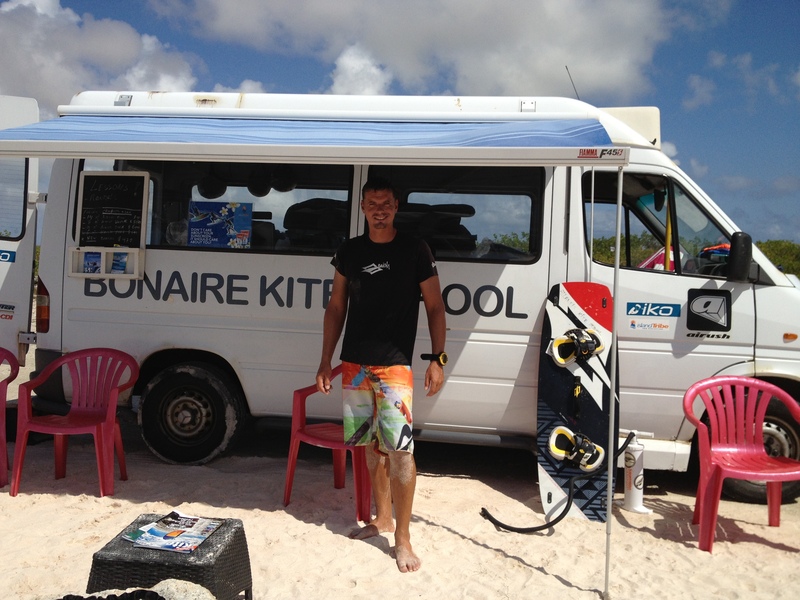 When not cooking, his passion is kite surfing. During a moment in life, Hagen decided to switch directions, simplify his life yet maintain his love for cooking. He scoured the internet and located a food truck in Texas. He and a friend flew to the US, bought the truck and had it shipped to Bonaire. The colorfully painted truck is a fixture now at Kite Beach in Bonaire. Atlantis is where kiting happens and now, Hagen camps out here daily turning out some sumptuous cuisine including my new favorite lunch treat, Lionfish burgers. Lionfish, non indigenous to Caribbean waters is decimating the sea life in Bonaire and around the Caribbean. Local divers take to the waters legally catching the fish. There are over 300 lionfish hunters on Bonaire including Hagen. I was a bit skeptical to try this really beautiful but spiny fish. Thanksgiving morning I decided to make a day of it and head to Atlantis. Upon arrival, Hagen’s colorful truck was beachside. It was a light wind day so the beach was quiet. Hagen showed me his spiffy truck with all the bells and whistles needed to turn out simple beach cuisine. I asked for the popular Lionfish Burger. The filet itself is very light and tender. He marinates it in a secret seasoning blend and places it on the hot grills. He serves it up on a toasted bun with a lovely creamy sauce. My first bite was pure ambrosia. I could have eaten two but I was in a bikini. Nuff said! Once sated from my Thanksgiving lunch, I took to the beach and strolled the long expanse enjoying the glistening water and warm Caribbean sun. I looked back and saw a small crowd socializing around the truck. It is truly a fun, chill spot. Hagen is open 7 days a week when there is a light to high wind. He is closed during completely dead low wind season. To learn more about vacationing in Bonaire, or to learn about the kite scene, contact the local expert at ann@bonairecaribbean.com. 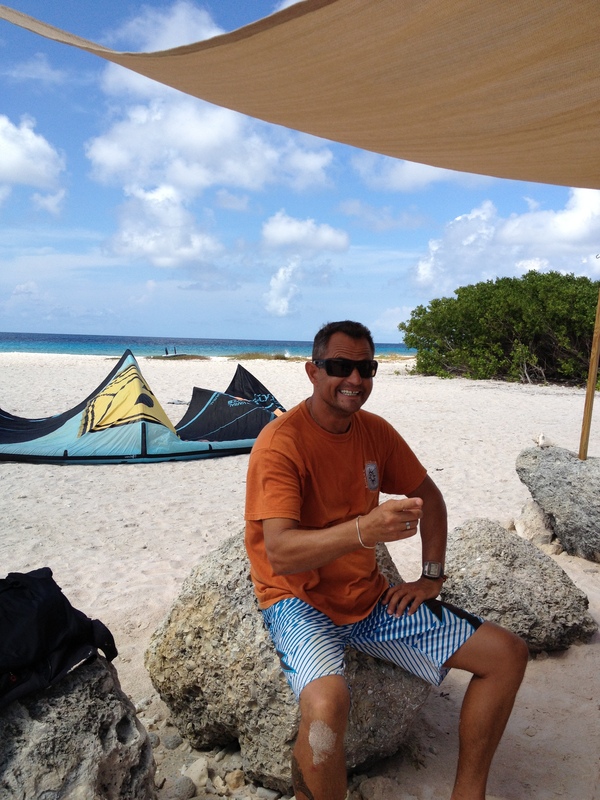 Caribbean Wind & Sun Vacations books kite vacations to Bonaire.